As part of a top-tier research institution, the University of Rochester biomedical engineering (BME) program is committed to providing undergraduates with meaningful exposure to the research process. Several of the BME core courses provide a guided approach to the research process through course projects, and many students choose to supplement their curriculum with summer research experiences or independent study courses. Guidelines for considering an independent study can be found here. 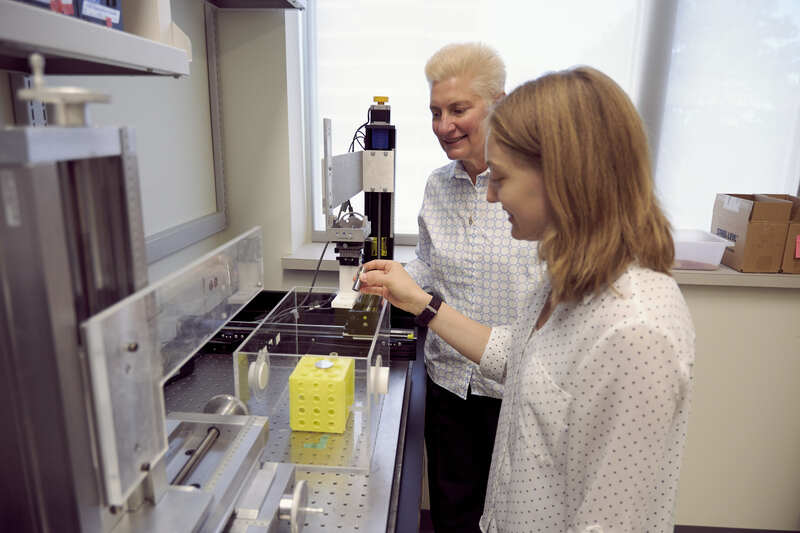 Students can choose to work for a faculty member in the BME department, other laboratories in the medical center, or other on-campus research centers to experience learning and working in a research setting. Some examples of recent research oriented summer internships that our undergraduate students have participated in can be found here. Interested students can contact faculty members directly, or work with the Office of Undergraduate Research, the Career Center or Taimi Marple, the undergraduate program coordinator, to identify opportunities.